A closer look reveals key differences in how they educate their students and offers valuable practical lessons in getting all children to achieve. Closing the achievement gap between the United States’ disadvantaged students and the rest of our students has been the major focus of federal education policy since 1965, when the Elementary and Secondary Education Act was passed. Compared to the countries with more successful education systems in the world, how is the U.S. doing? The answer is not very well. The Organization for Economic Cooperation and Development just released a very revealing report on low-performing students in the countries that participate in the Programme for International Student Assessment survey. In places like Hong Kong, Shanghai, South Korea, and Vietnam, fewer than 5 percent of 15-year-old students performed below the basic-proficiency level in reading, mathematics and science. But, in the United States, 12 percent—half a million students—fell below the same level in all three subjects. The performance of the average student in the U.S. falls below the OECD average for all 64 countries in its survey, and far below the average for the major industrial countries. The proportion of our students who score below the OECD basic score is also well above the average for the major industrial countries. Equally troubling, the proportion of our students who score in the upper ranges of the OECD spectrum is also well below the average. Some argue that the U.S.’s lagging behind has nothing to do with our schools: The U.S. has a much higher proportion of disadvantaged poor and minority students than higher-performing countries. But the data show that 37 countries outperform the U.S. in the degree to which socioeconomic status predicts low achievement. Both Vietnam and Latvia have far smaller percentages of low-performing students than the U.S. If it is poverty that accounts for the U.S.’s high proportion of low-performing students, it is hard to explain how these two countries are doing better than the United States. Vietnam’s average income,adjusted for purchasing power, stands at just one-tenth of the U.S. average, Latvia’s at less than one half. The OECD also tracks the proportion of low-income and minority students who score at high levels on their assessment. This metric shows that the U.S. has a smaller proportion of low-income high achievers than all but a few of the countries studied. It turns out that a number of East Asian countries, which account for the majority of nations with high-average performance, also have the lowest percentage of low-performing students. Indeed, Shanghai, Singapore, Hong Kong, and South Korea all rank in the global top ten in terms of achievement as measured by OECD’s PISA, and each of these jurisdictions has less than 10 percent of its students scoring at the lowest levels. That makes it clear that improving the performance of the low performers does not require a country to sacrifice the performance of the average or top performers. What are these countries doing to cope with this dynamic that we are not? The answer begins with the observation that, in the American system, as students start to fall behind, they find it harder and harder to comprehend what is going on in class and fall even farther behind as they go through the years. Their morale sinks, their embarrassment rises, they stop coming to school, and then they drop out. The East Asian countries essentially deal with this downward spiral by stopping it before it gains momentum. They are able to do this because they start from a commitment to the idea that all students can and will meet high standards as they progress through the years. This is not a slogan. It is the basis of their policy and practice. The policy makers and educators in these countries whom the researchers in my organization have talked with seem to understand that if students are allowed to fall behind, failure will feed on itself. 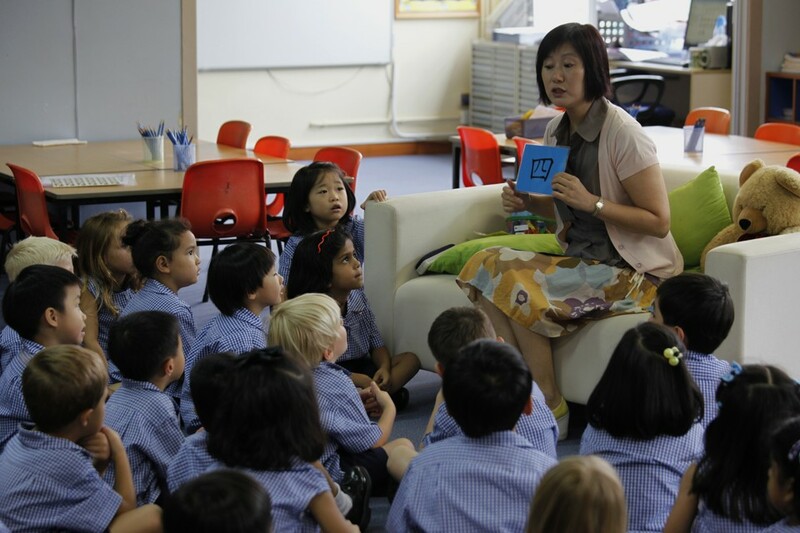 In Singapore, students undergo a thorough literacy and mathematics assessment when they enter first grade. Those whose diagnosis indicates they need extra help get it. They get more teachers and teachers who specialize in students who are behind. In other countries, these students not only get more teachers, but also the best teachers. The teachers understand that they are expected to do whatever is necessary to get students who start behind back up to speed as soon as possible. If that means coming into school earlier in the day, staying longer, or coming in on Saturday, then that is what they do. Hong Kong has a special six-month program for immigrant children before they enter the regular schools and provides resources to schools that can be used for supplementary lessons, extracurricular activities, and to organize orientation sessions. In Shanghai, city schools are paired with rural schools serving low-income students. The city schools help the rural schools with curriculum, instructional strategies, and management systems. The career ladder for principals and teachers is structured so that city teachers and school administrators cannot climb the ladder without providing this kind of help to schools serving large numbers of disadvantaged students. Japan subsidizes voluntary activities undertaken by university students to help families that need it, assisting low-performing students with their homework, tutoring them, and helping parents interact with the school system. Ability grouping is largely avoided in the top-performing countries, and, if utilized, is for the minimum time necessary. Schools with high concentrations of low-performers get more teachers and are often asked to partner with high-performing schools. The teachers in schools with high concentrations of low-income students make the same amount of money as teachers in schools serving students in wealthy communities, unlike the United States, where they typically make less. Teachers as a whole are also more likely to make more money relative to the high status professions than is the case in the United States. But the expectation and insistence that all students will meet high standards is the single most important explanation of the success of these Asian countries with students of every description, including disadvantaged students. But it is realistic only in countries in which the progression of topics as a student goes through school is fully specified and agreed on through the whole state or country. In countries like the U.S., where there is often no such agreement at the state level, students may enter a classroom having widely different knowledge in any given topic. A teacher who, in general, gears her lessons to the average student will necessarily leave students who have never studied the topic behind. In places that spell out clearly what topics are supposed to be studied in what order as the student moves from one year to the next, the teacher knows which topics have been studied by all the students and can count on all the students having mastered those topics. This does not require the state to mandate a full curriculum. Teachers are still expected to develop their lesson plans. But all teachers are expected to get their students through the same topics at about the same point in their development. If the key advantage enjoyed by disadvantaged students in these Asian countries is the conviction that all students can perform at high levels, then the main obstacle faced by disadvantaged students in the United States is the high degree to which different expectations for students from different educational backgrounds are embedded in our culture. Larger and larger shares of our future workforce are coming from students whose background would predict low academic performance. If we continue to expect little from them, we can confidently expect to get little. The experience of the East Asian countries shows what can happen if policy is based on the assumption that all children can learn at high levels. And it shows, in detail, how policy has to change to make that possible. The high proportion of low performers in the United States is not a function of poverty. It is a function of our inability to act as if we actually believed the slogan we have long embraced in theory but not in practice: the idea that all children can learn.